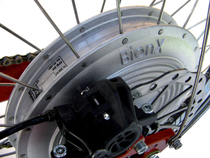 Toxy Liegerad GmbH - SMART-E - BionX Pedelec. 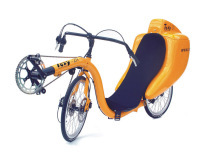 Toxy SmartE - Enjoy the electric tail wind! Headwind? Slopes? Morning energy slump? - No matter at all. You will reach your destination on time. 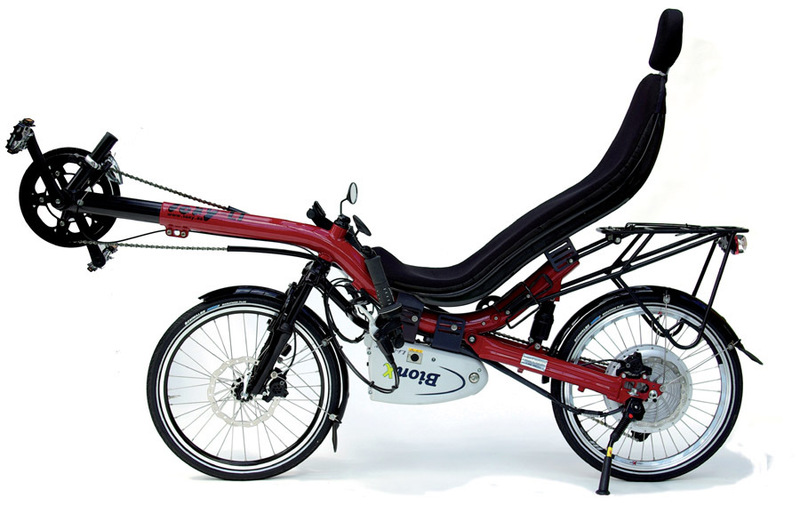 The Toxy Pedelec concept with powerful BionX drive and the well known comfortable Toxy riding position also convinced the editors of Germanies most popular bike magazine aktivRadfahren. Our Toxy not only achieved the top rating of "very good" award, but also the "Best Buy" statement. Do you know this really well? Do you know these and other reasons, finally using the car in traffic jam to get home in the evening, costly and frustrating - instead of celibrating a sunny evening ride and come home relaxed? 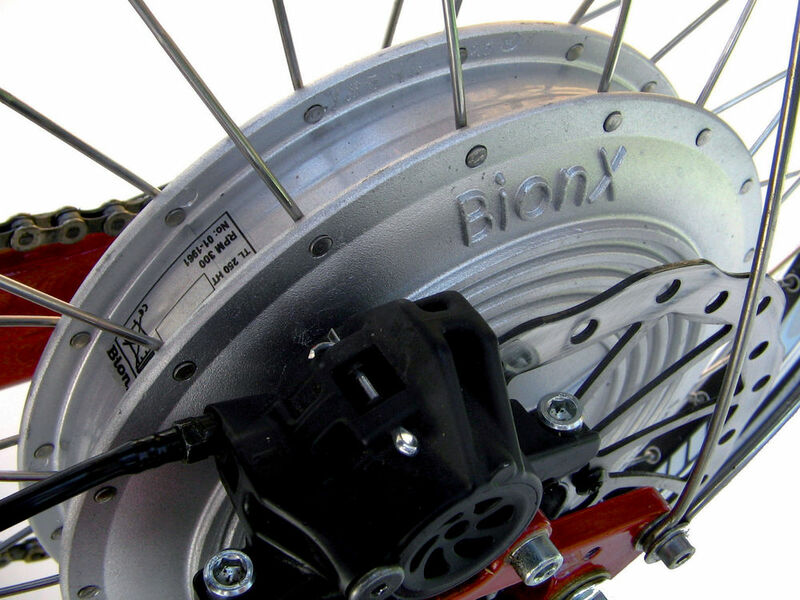 The answer is Toxy SmartE, our Pedelec Toxy option for all models with the powerful BionX HTAntrieb. SmartE works, as it´s callled: quietly, almost silently, powerful in pulling and very intuitive to use. 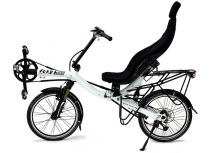 Also really nice regarding power consumption and size, but large in the range due to its high efficiency, four levels of support and the ingenious regenerative braking energy recharge: recharging during braking or driving downhill in the generator mode, the battery gets filled instead of brushing down rims and brake pads! 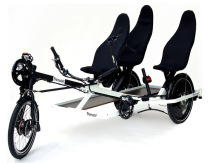 Technically advanced, innovative, lightweight, maintenance free, reliable and hassle free as the Toxy cycling itself. 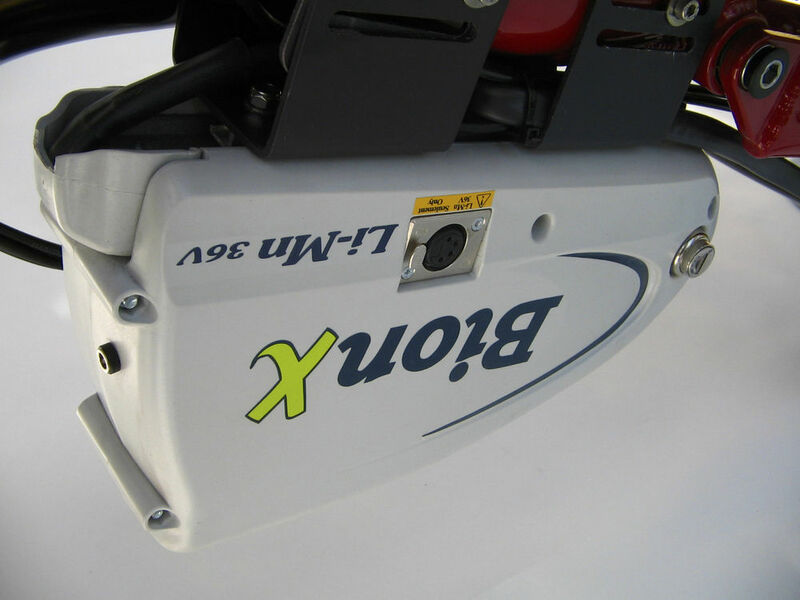 Do not wait any longer and enjoy relaxing Toxyrides even smarter now! Ps: We also support you with this system as a retrofit kit for all Toxy models built since 1998. Lightest system of its kind.